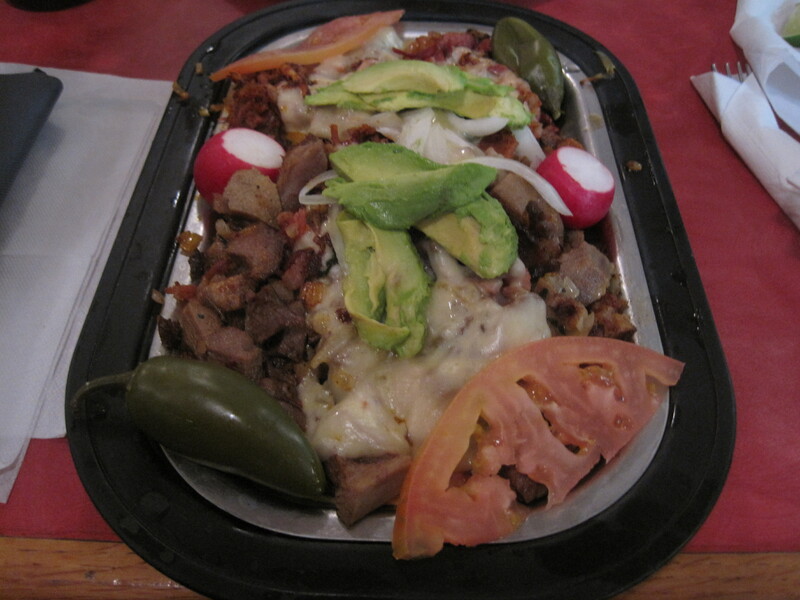 El Rey Del Taco is a place with a well established reputation for good Mexican cuisine. 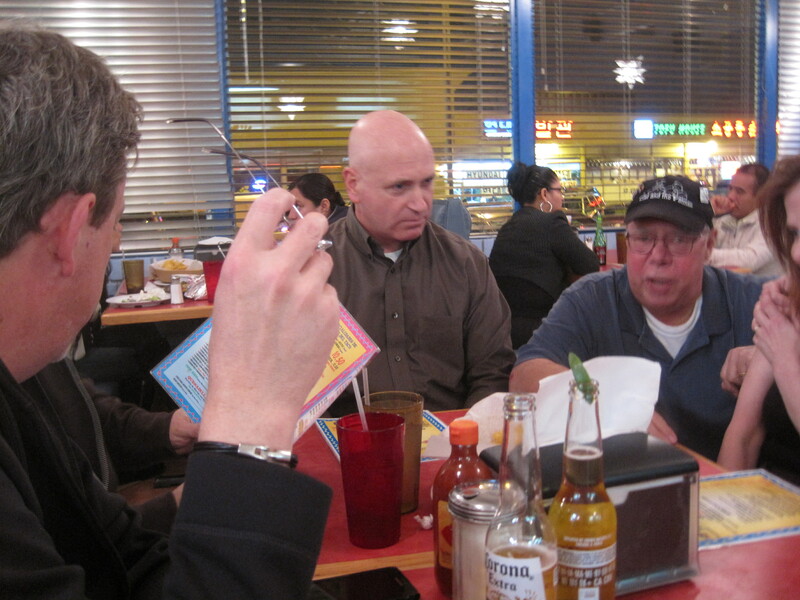 Recently, BuHi had another of his open invitation get togethers at this eatery. 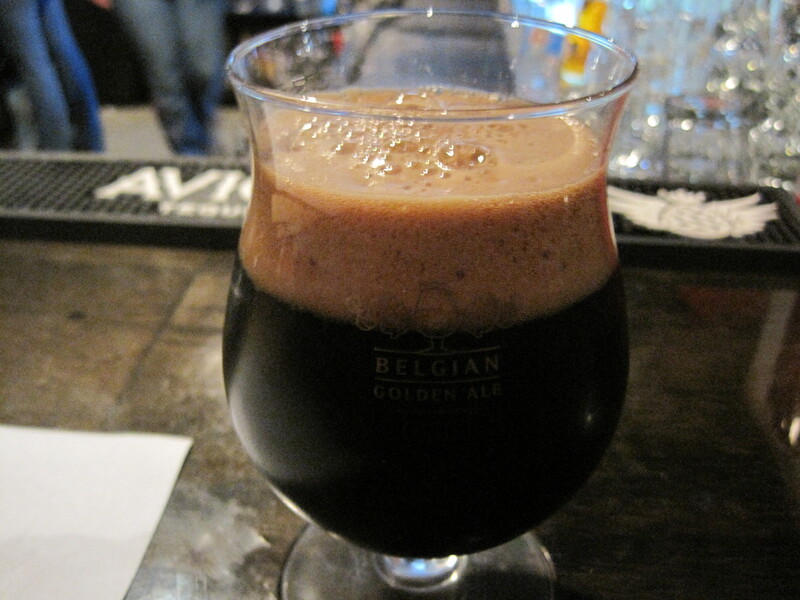 This, the 285 Foodies crowd latched onto, as a respected forum couple was moving to Oregon. Mike Stock and company needed an opportunity in which to send these two off. That’s the background for this review, which won’t be very traditional. Mike Stock and Lorenzo? I believe, in the focus. The back of BuHi's head to the left. Not a great photo but captures the mood of the day. Mixed special. 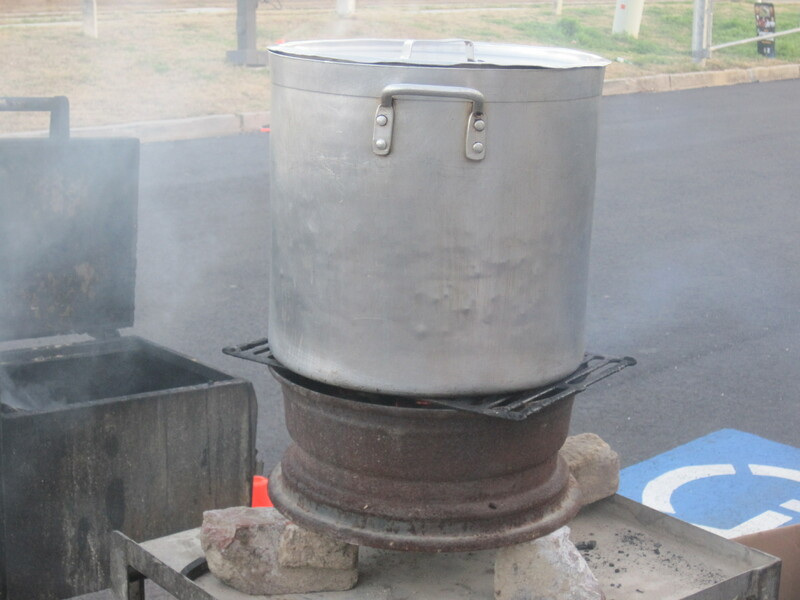 Barbacoa de chivo on top, lengua towards the bottom. Jalapenos were pickled and pretty mild. 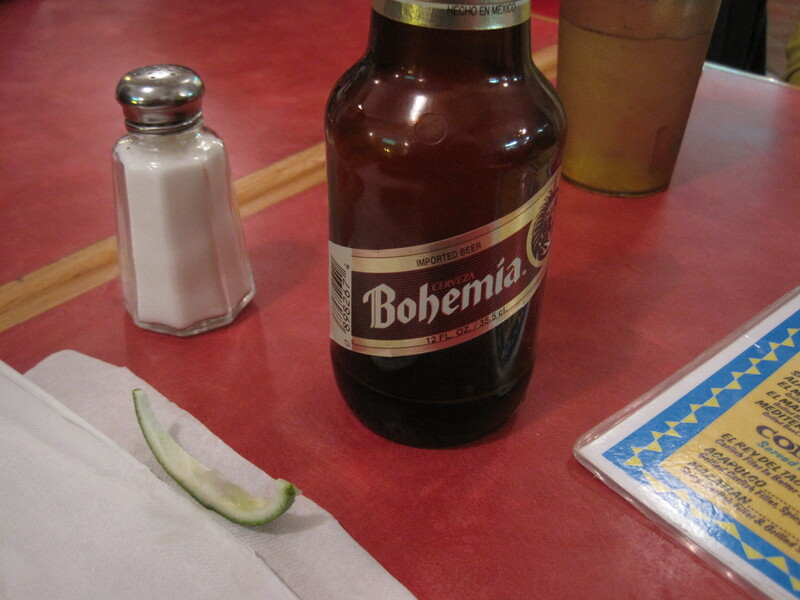 I recall a lot of conversation, and beer, and having a “mixed special” plate, including lengua and barbecued goat meat. 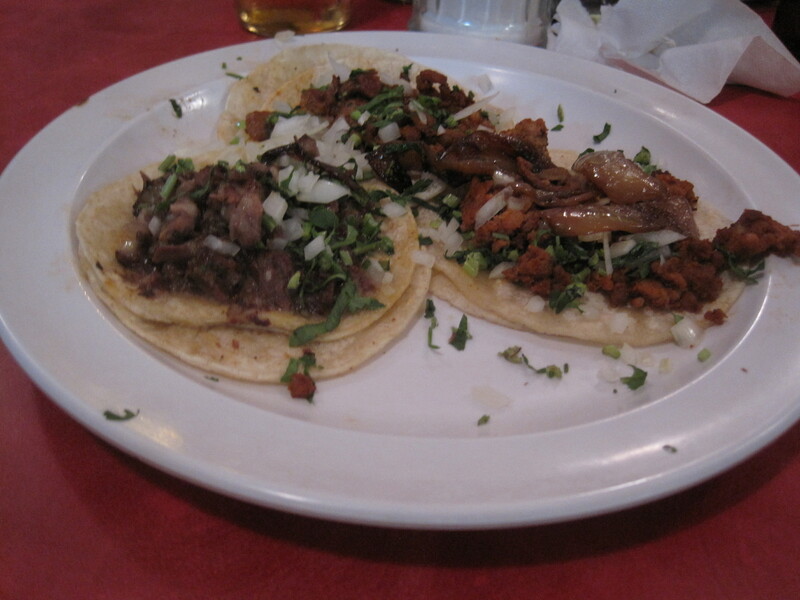 Meats were good, lengua having good flavor without tasting “boiled”, goat flashing a bare hint of wild gaminess. 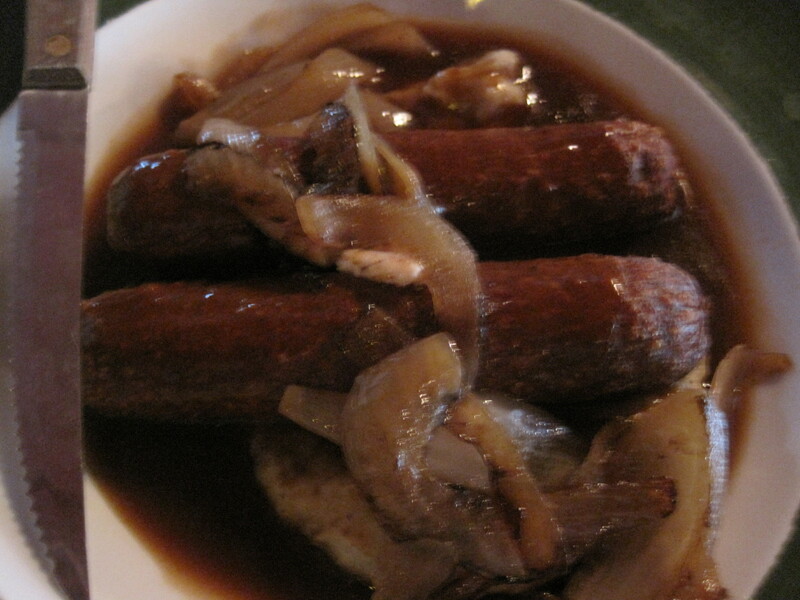 That’s the thing that should attract your attention here, a versatile display of meats in use. Yes, Bliss praises it for getting the little things right. Buhi can go into depth about each and every dish. But good meats, affordable prices, amiable staff and product that’s not sitting, but moving from kitchen to table, all should clue you into a place worth exploring, and a menu you can’t exhaust in a trip or two. What do they have? Besides tacos and specials, the menu lists burritos, tortas, quesadillas, shrimp dishes, fish dishes, specials of various kinds, fajitas I believe, and combinations. The menu is large, and as long as you’re not looking for Tex-Mex yellow cheese dishes, you’ll have plenty of choices here. There are cuts of meat known as restaurant cuts, because they are tough when not handled properly, but have plenty of flavor if cooked in the right way. Among these cuts are hangar steaks, flank steaks, skirt steaks, and flatiron steaks. The flatiron steak is well described here, and as the local Kroger has been offering this cut for 6 and 7 dollars a pound, I was curious how well it handled via sous-vide. Kroger sells this steak in 1.5 pound sealed packs. 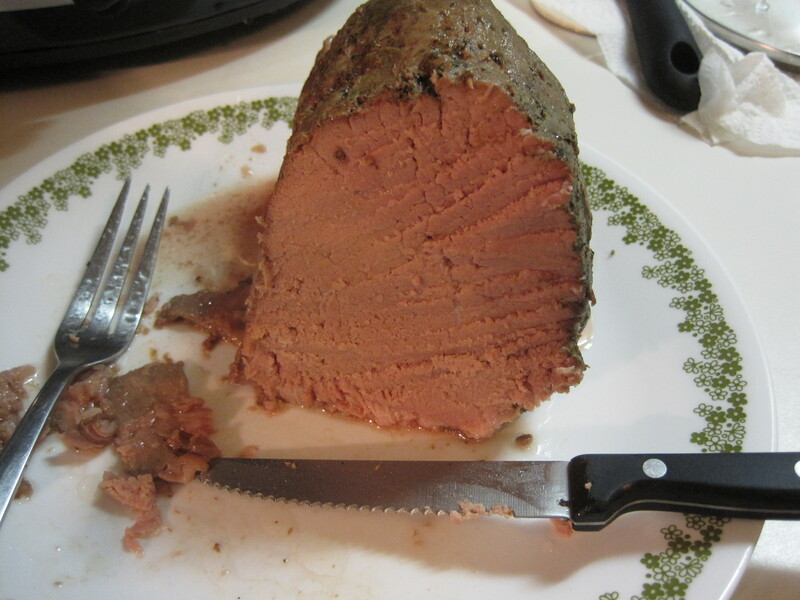 I bought one, sliced it roughly into 4, vacuum sealed the meat, and froze it. This particular example sealed the most poorly; you can see some air in the pack. This will tend to make the plastic float. 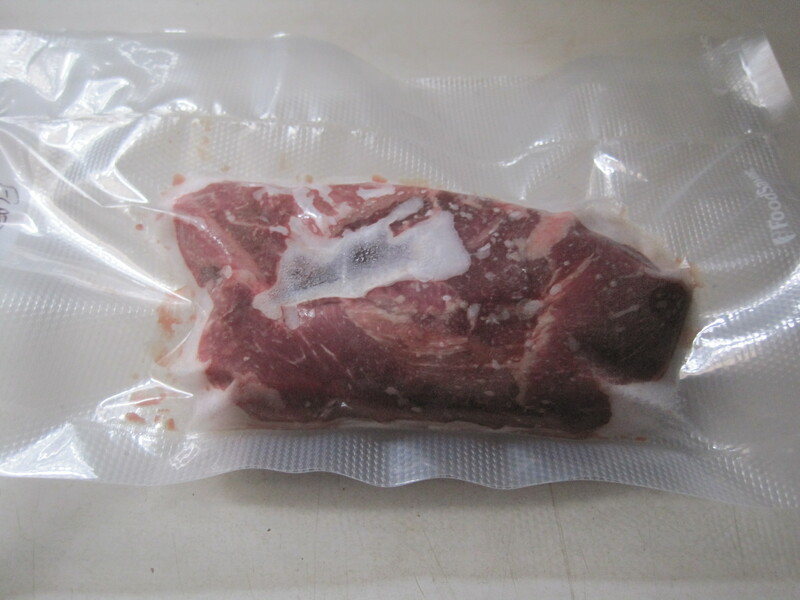 Just take the pack and shake it a little, once unfrozen, so the air pushes one end of the plastic up and the steak can sink into the pool of water. You don’t need total immersion, just temperature equalization, but in my case, a little shaking allowed the whole of the steak to go under water. 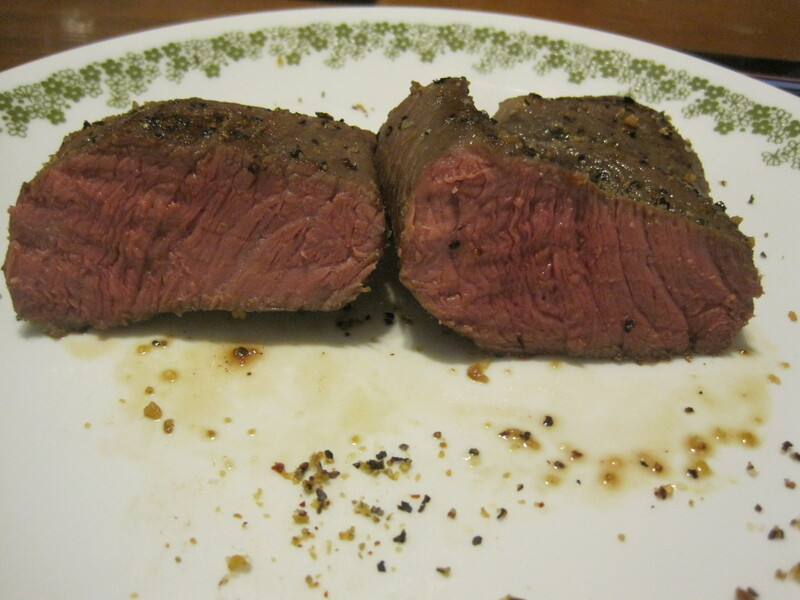 Five and a half hours later, 30 seconds of sear a side, some spices, and the steak looked like this. There was some chew, some mouth resistence, but no toughness. The steak was pleasantly tender. 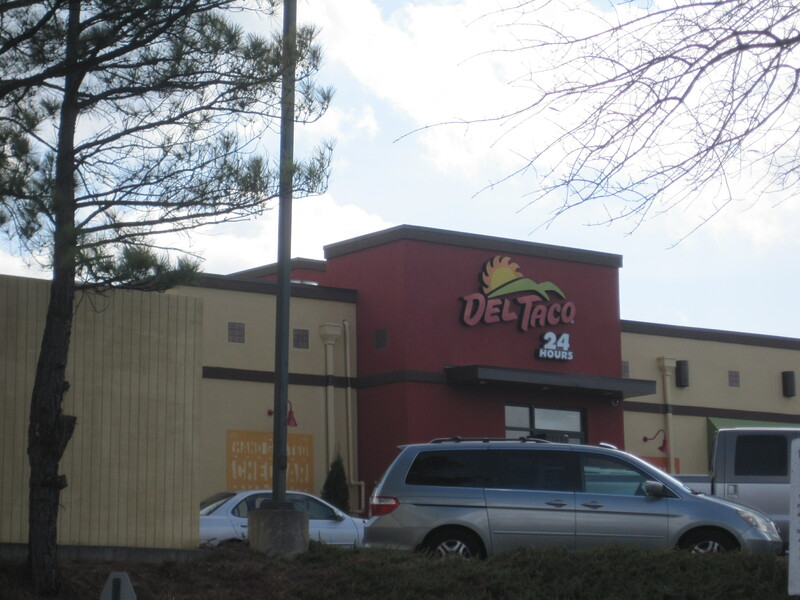 A new Del Taco now occupies prime Snellville real estate, the old location of Fazoli’s, roughly at the corner of Ronald Reagan and 124. It is, if Tone to Atlanta can be believed, the largest extant Del Taco anywhere. I heard somewhere that it’s the first Del Taco in the state of Georgia since their bankruptcy, and it has enough buzz that Grant Goggans came out, ate, and gave a very lyrical, impressionistic review of the restaurant. It’s crowded, this Del Taco, lines circling the building, men outside with electronic pads because the drive through electronics aren’t working. The press of people for a chain whose best selling point is as a counterweight to Taco Bell, a Burger King to Taco Bell’s McDonalds, is fascinating, in a human train wreck kind of way. I wasn’t able to go in the beginning, though by the time I made it with my daughter, my wife and daughter had already been three times. Inside, the lines that snaked half way through the building, the smell of burgers and french fries, were clear reminders that this isn’t even close to authentic, it’s a classic American attempt to side-step any sign of ethnicity in ethnic food. 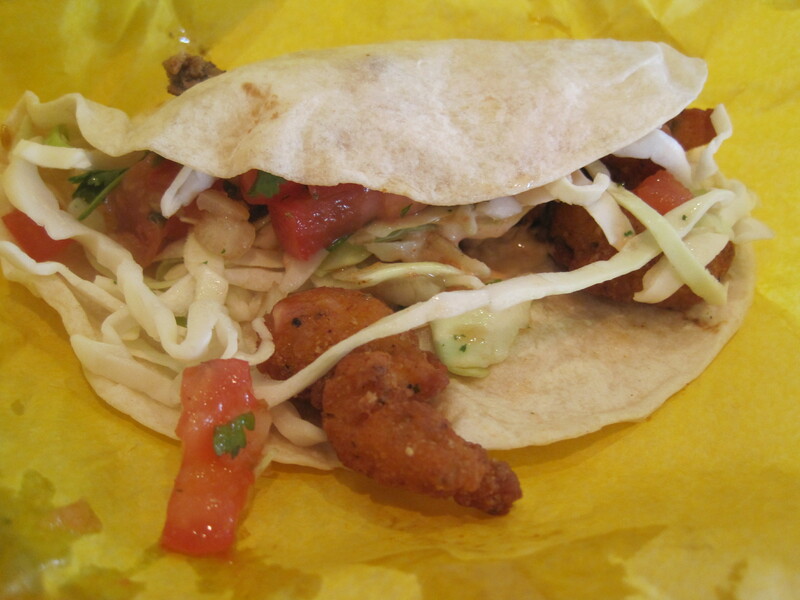 Shrimp taco. Decent shrimp, but too much mayo for my daughter's tastes. Does that meat look grilled to you? 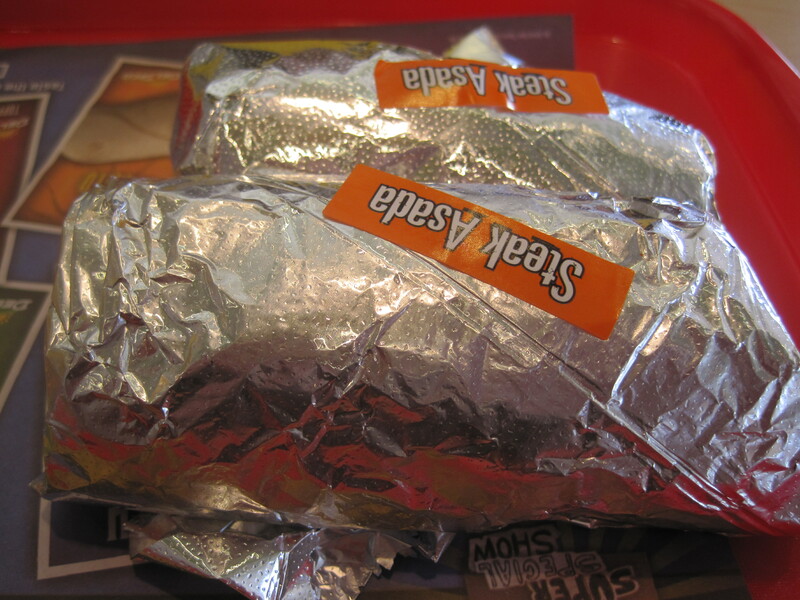 The food comes to you in little aluminum bundles, perfect as missles in a high school food fight. Yes, designed to be taken home, as opposed to appreciated on the table. That’s the only reason I can come up with to explain how unappealing their tacos actually are. 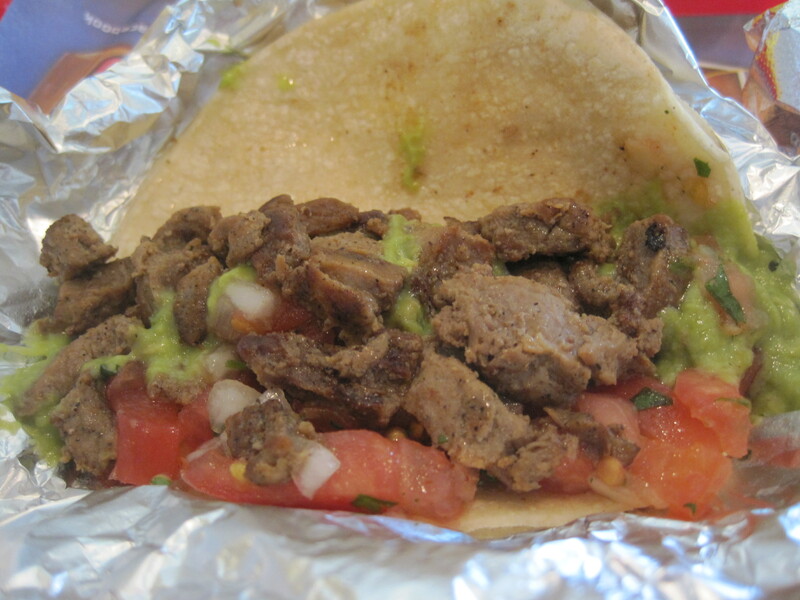 Grey wet meat with almost no visible sear dominates their tacos. But if you taste the meat, then yes, something was grilled at some time. I knew coming in, it would be good. I had a bite of one of my daughter’s tacos before showing, and it was quite tasty. The taco above was quite good as well. And I’m left a little mystified, as how they could grill anything and come up with a taco that looks like it spent most of its time in a pot of boiling water. I think I’ll leave that one to the fast food philosophers, or the french fry poets. Meats? Essentially two choices here, chicken and steak, with fried fish as one seafood option and fried shrimp as another (they do have that fried thing going). No tortas, but burgers are possible. I recall quesadillas, as well as a meatless option. Hot sauces turned out to be a pleasant surprise. Both their sauces and their salsas are good, better I think, than the food they grace. DelScorcher, their medium sauce, has some bite and the hot salsa has some richness to it and balance. It’s also going to be open 24 hours, so this Del Taco helps fill a void in the Snellville life style, as most of the restaurants around here tend to close by around 9-10pm. In summary? Very typed, lots of buzz, lots of press and crowds currently. 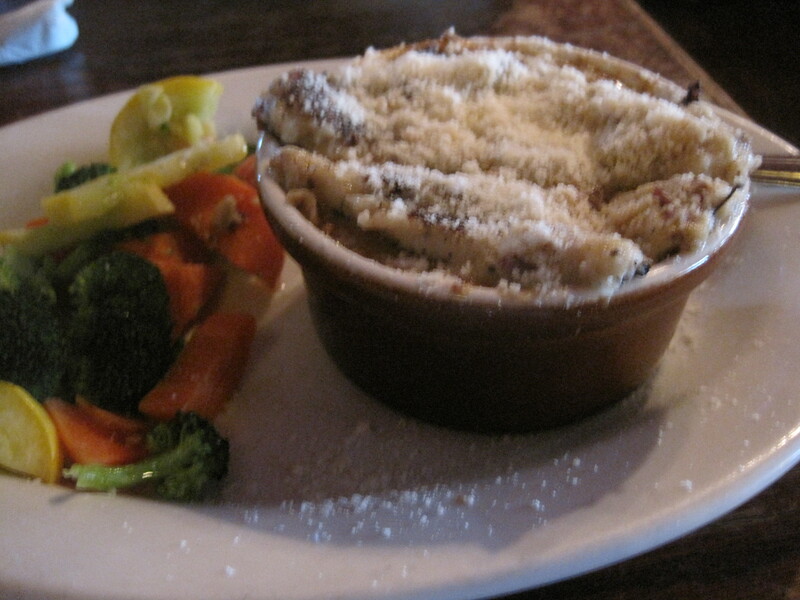 Food doesn’t look very appealing to me, but better tasting than it looks. They have hot sauces whose packets are worth hoarding. Note: The wifi here not only does not work, the signal from the nearby McDonalds is stronger in the store than is Del Taco’s own wifi signal. It would be best to bring a mifi or a tethered phone when you come. Surprisingly tender, almost too tender. It was a good meat hot, a better meat cold. It makes great steak sandwiches, when sliced about a quarter to half inch thick. But as much as I like it, I agree with the poster here that perhaps 30 hours would be a better time.